The Poly Signs are made from specially formulated (HDPE) High Density Polyethylene with UV inhibitors and are 100% recyclable. 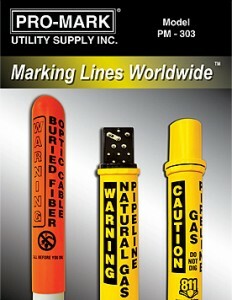 The signs are resistant to chemicals, solvents and stress cracking. Unlike aluminum and metal signs, graffiti and spray paint can easily be removed from ProMark Poly Signs with acetone and paint thinner without harming the graphic. 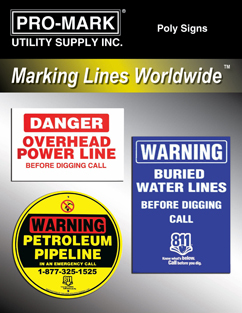 Poly Signs are manufactured in the USA and can be customized to meet customer specifications and U.S. Department of Transportation regulations. Graphics are molded onto our signs with the ProMark graphic system that is guaranteed not to fade, peel or chip. Signs are .125” thick and can be cut in different shapes and sizes. 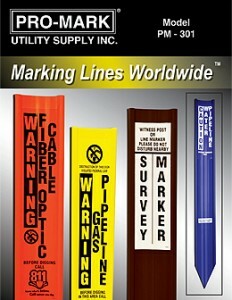 Poly Signs are available in all standard colors.